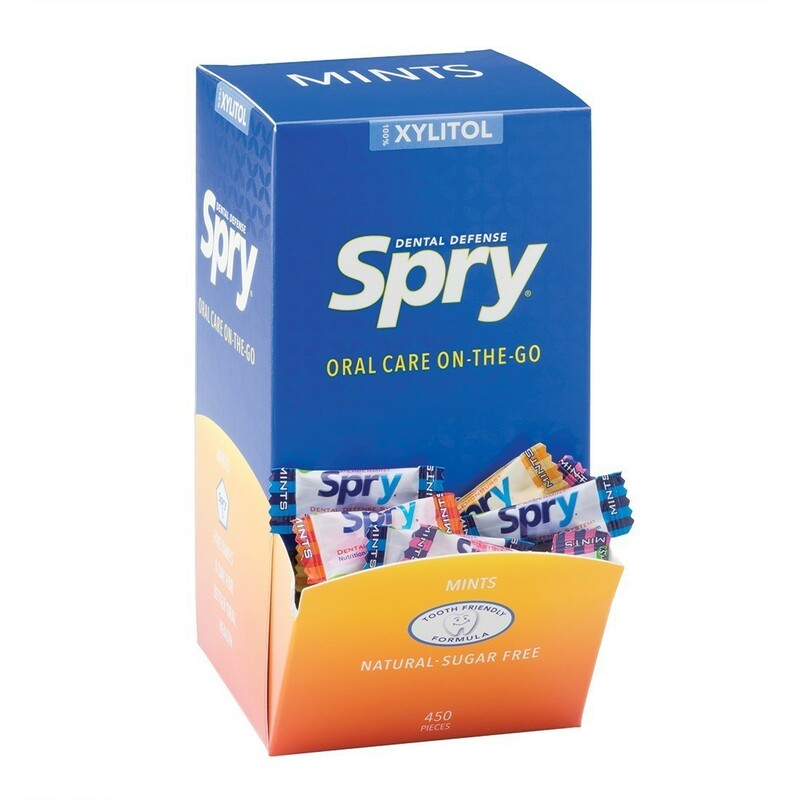 Tasty sugar-free mints sweetened with all natural Xylitol to help reduce the risk of tooth decay! Your visitors will love the taste and you'll love the fact that this candy is safe for teeth! Assorted flavors include BerryBlast, LemonBurst, Cinnamon and Peppermint. Ingredients: Berry mints: Xylitol, calcium lactate, magnesium stearate, gum arabic, natural flavors (raspberry and blackberry essence), glazing agent (beeswax). Lemon mints: Xylitol, calcium lactate, magnesium stearate, gum arabic, natural flavor (lemon oil), glazing agent (beeswax). Peppermint: Xylitol, calcium lactate, magnesium stearate, gum arabic, natural flavor. .5 grams of Xylitol per pack.